The whole goal of this project was to familiarize myself with Photon Unity Network (PUN), which is a networking solution for Unity3D that utilizes cloud-based servers to link players in games. Poo-ng is played much in the same way as regular pong is. 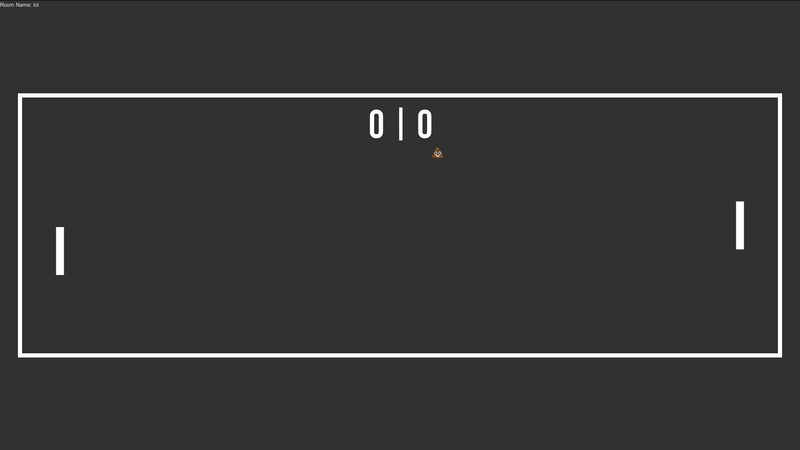 The player moves the paddle in order to hit the "ball" (💩). The goal is to score the poop into the other player's goal, which is just the wall. The poop also speeds up after every hit against a paddle. Every rally the difficulty is increased based on how many times the players have hit the poop. One player must start a server-side client, in which they act as the server as well as a player. The other must connect using the same room name. If a room name is already taken on the master server then they will either join the room that has that name, or create a new room with a number incremented after the room name. 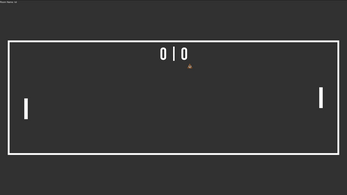 The server-side client and connected player will then start the game of Pong. There is currently no score limit, so games can be played forever. To end the game, either close the game client or press "Escape" to quit back to menu. Either method will disconnect the other player as well and send them back to the main menu. Download the ZIP file and extract ALL contents to the SAME folder. Then, just open up the executable and select your settings and hit the "Play!" button to play the game.